I’m not sure how I first heard about ‘The life changing magic of tidying’ by Marie Kondo but something intrigued me about it. 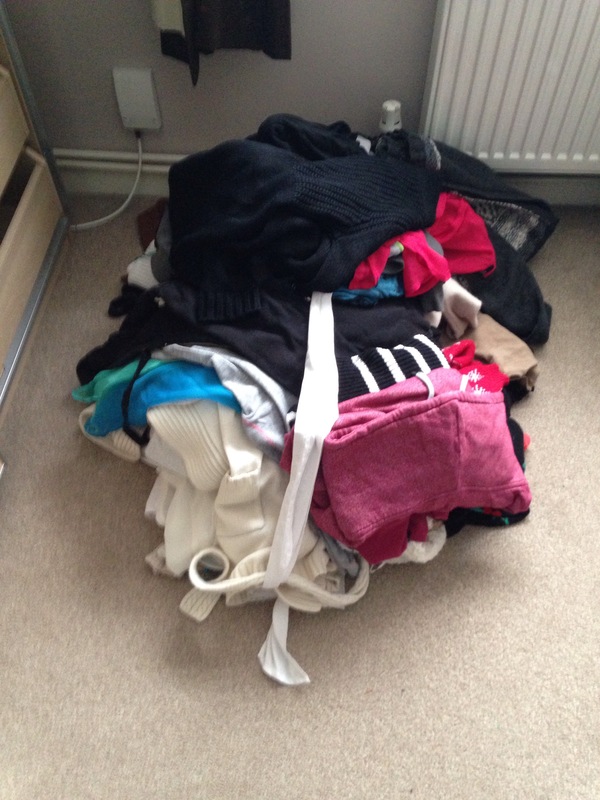 Tidying does not come naturally to me, in fact I think I am more the magic art of piling kind of person. So when I read a few reviews of the book and they were from people who were like me, I decided I would give it a go. I read over half of the book the first day it arrived and decided this was a good sign. I also like the fact that Marie Kondo explains that there is no surprise none of us can tidy as we have never been taught. 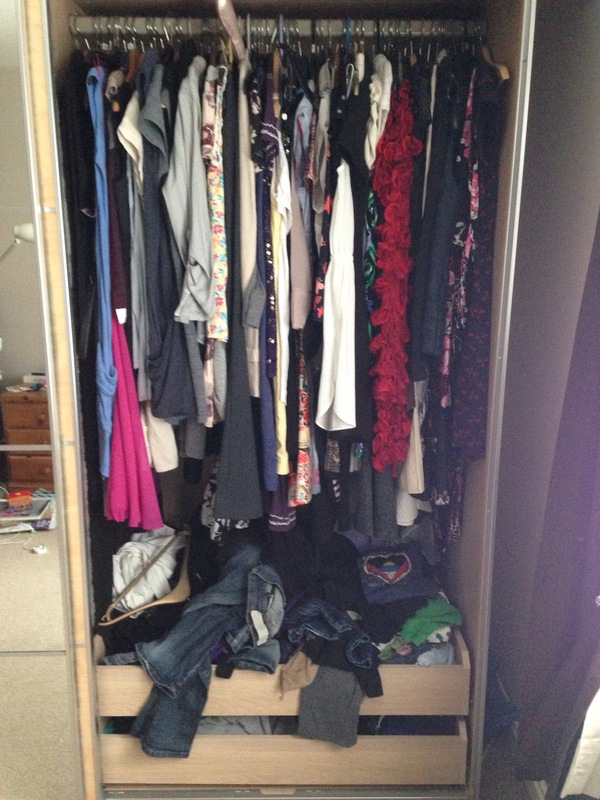 This means I am off the hook about my general ineptitude for keeping things tidy. 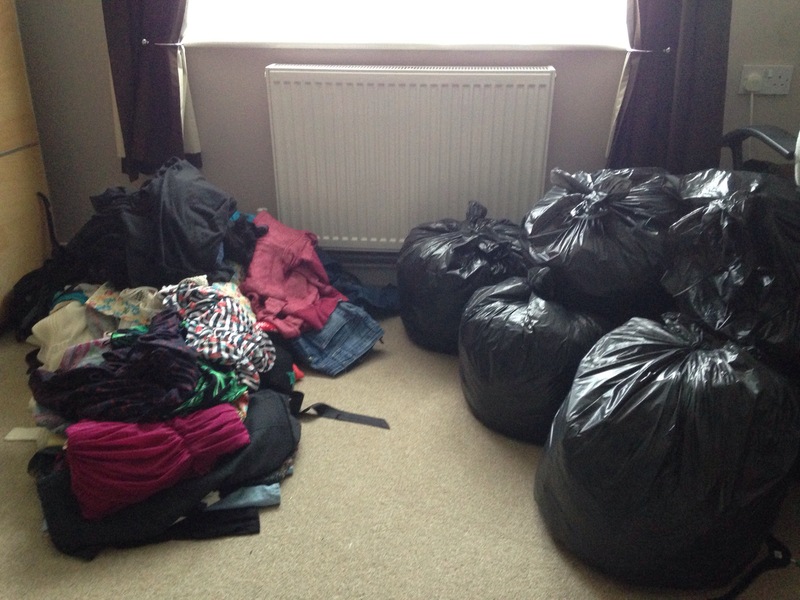 It turns out tidying room by room is my biggest failing. 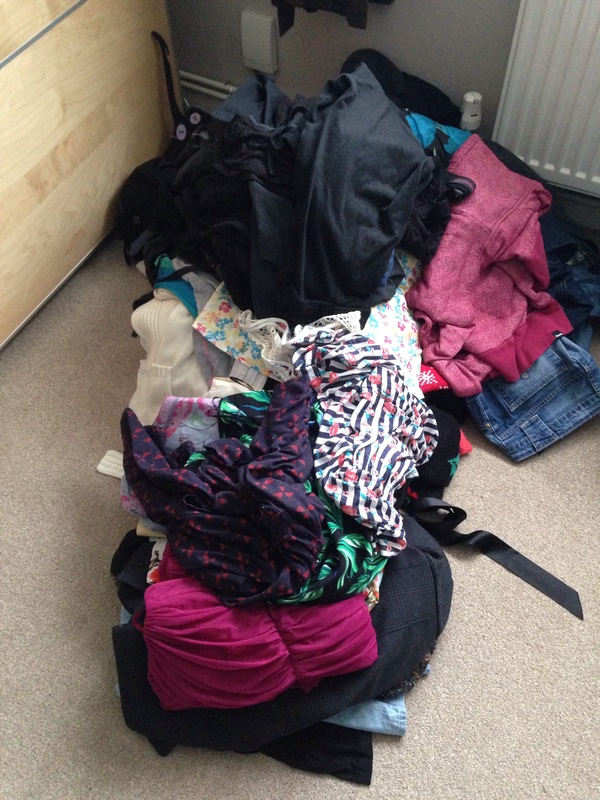 This is why I cannot keep up and never complete tidying the house – instead it is about tidying in categories. First category : Clothes. Cue the deep intake of breath. I have avoided going anywhere near this for some time now. It’s too big a job! The thing is I was on a bit of a roll and the book kept cropping up in conversation so I had a bit of drive. Erm… How long was I allowing to get this completed again? 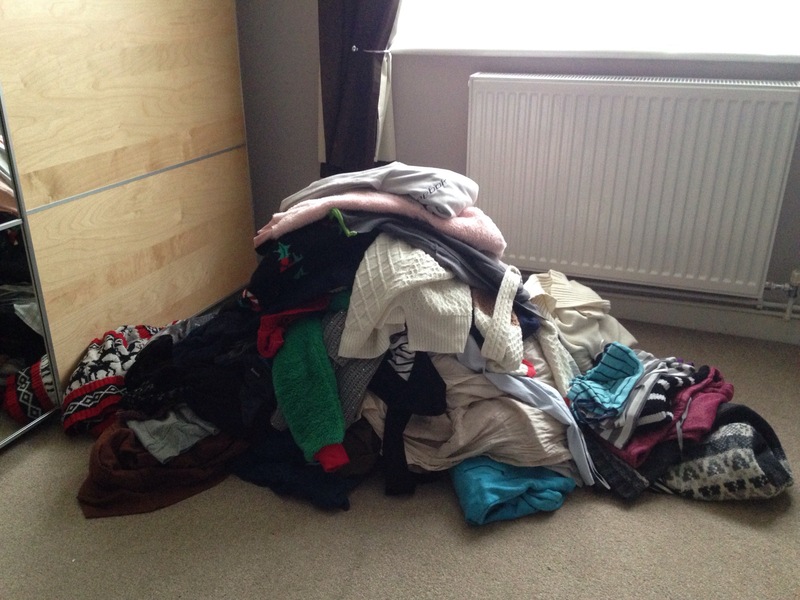 Yes, more of a mountain than a pile. Next step: Hold each item and decided does it spark joy? If yes, keep it. If no, get rid of it. Hesitation – get rid of it. I found this surprisingly easy and discarded quite a lot of the mountain! Again, hold each item and decide – Does it spark joy? 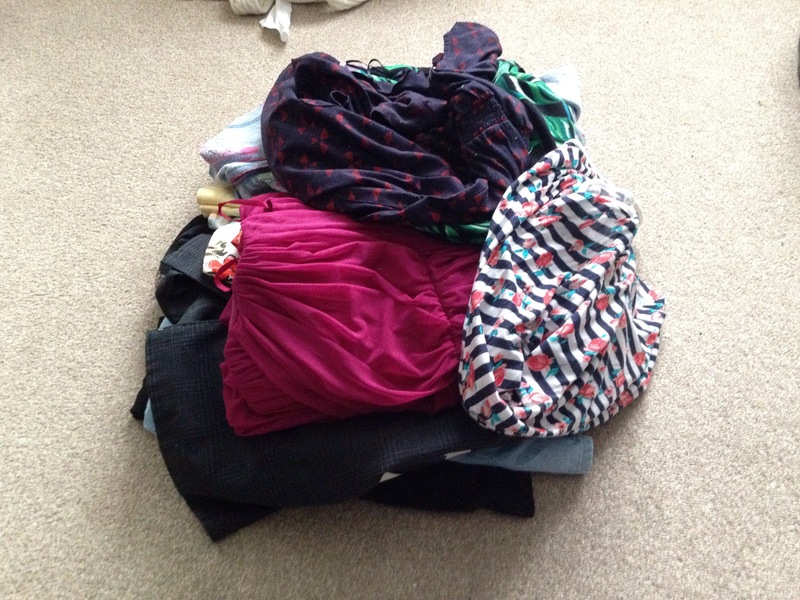 This pile was even quicker to sort than the first one. 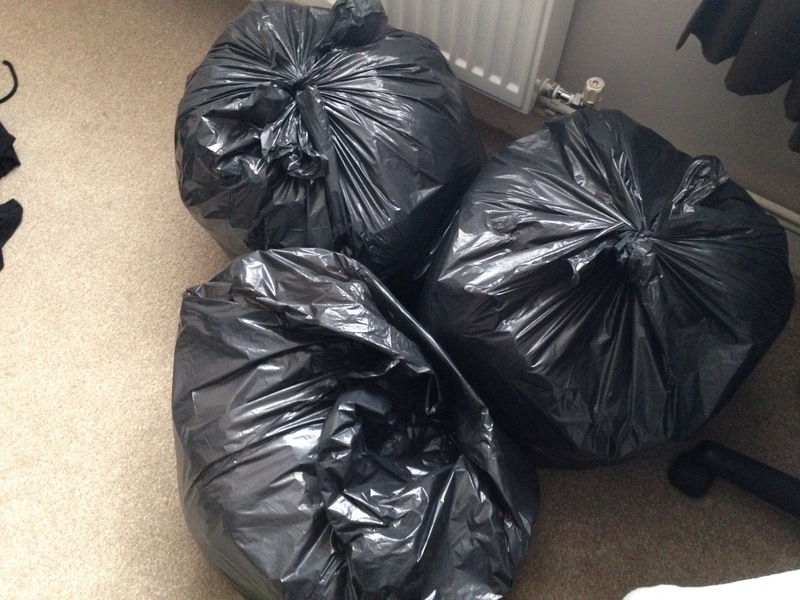 By now I was amassing plenty of black bin bags which further spurred me on. Third : Things than need to be hung up. Now, these items are likely to be some of the most expensive you own. Mine was culled in record time. After this you do underwear, shoes and bags. 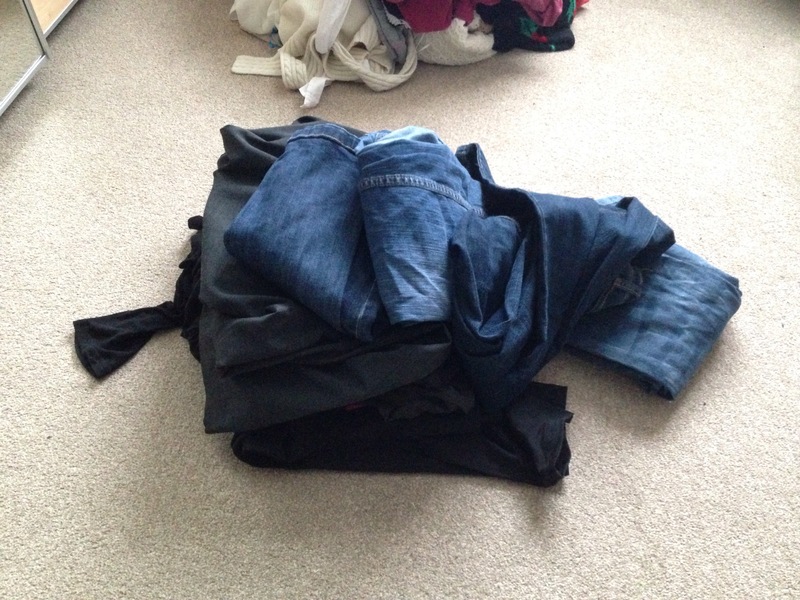 Funnily enough I didn’t photograph my underwear pile! It was complete! 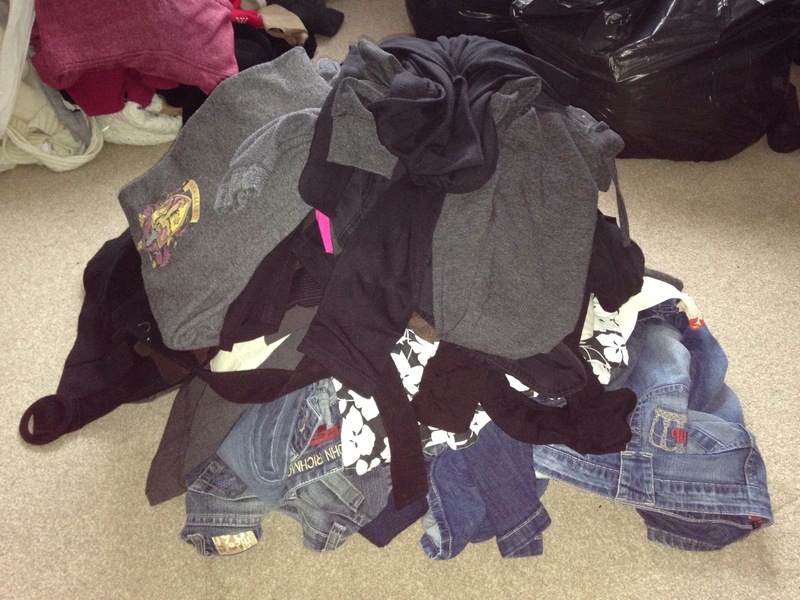 All of my clothes decluttered. From start to finish it took me just over an hour. This was the thing I struggled with the most. Just an hour! I had procrastinated for so long and it took so little time. 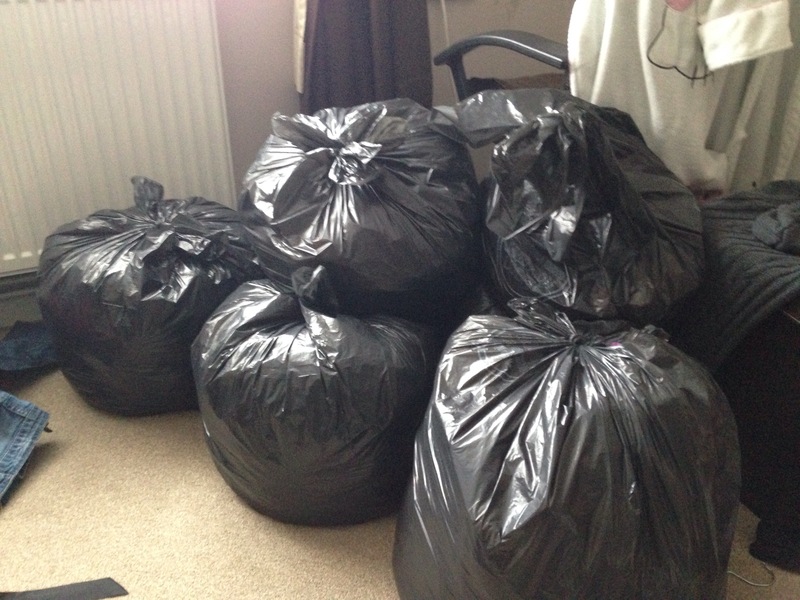 Six and a half bin bags full of clothes that I neither want or wear but have been cluttering up my wardrobe and drawers for years. This is just the first part of my KonMari journey for me. The next category to tackle is books. It is my intention to follow the methods in the book and declutter our entire house within 6 months. 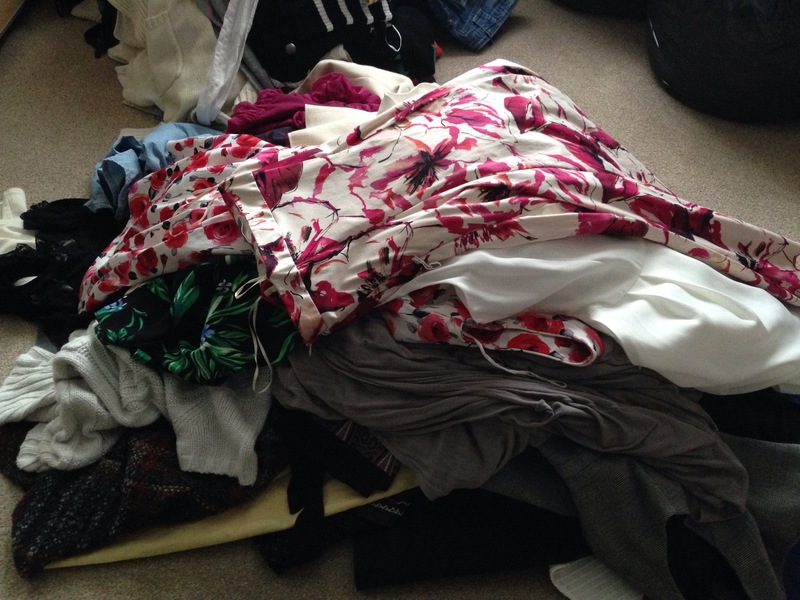 Have you heard of ‘The life changing magic of tidying’ or the KonMari method? What are your thoughts about it? Are you tempted to give it a go for yourself? I will be posting updates of how I getting on with the rest of the methods. I do have to say though, I was clothes shopping earlier and didn’t buy a thing as all I kept thinking was ‘Does it spark joy?’ And the predominant answer was no!